Another year, another NIT. We’re still not quite sure how to cover this. It feels like a bad bowl game, but worse. If you win the NIT, do you celebrate? Or is it more of a “meh”? We don’t know these things, and we don’t have the stomach to figure them out. Our opponent will be the Dukes from Duquense. They were a win away from an automatic tournament berth, but had to accept a 7 seed in the NIT. They are a tiny school which I have only seen during a Pittsburgh-area high school football game. There should be no match up here. Period. We should win and win handily. This isn’t a jinx, because its a fact. Will we win handily? Well, that’s not so much a fact as it is a coin flip. We seem to be the only team with the ability to play Christiansburg High School and the Celtics close. But to take down a duke, we need a king. 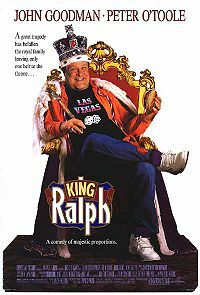 You are currently browsing the archives for the King Ralph category.